Supreme Core Craft Cider, Washington, DC’s newest cidery, announces the release of its Micawber unfiltered dry cider. Micawber, Supreme Core’s first release, is an unfiltered cider made with 100% Virginia apples and an English ale yeast to provide a clean, unique drinking experience. Carefully selected blends of regional apples – locally pressed and fermented in Washington, DC with craft beer sensibilities in mind – is the hallmark of Supreme Core’s ciders. 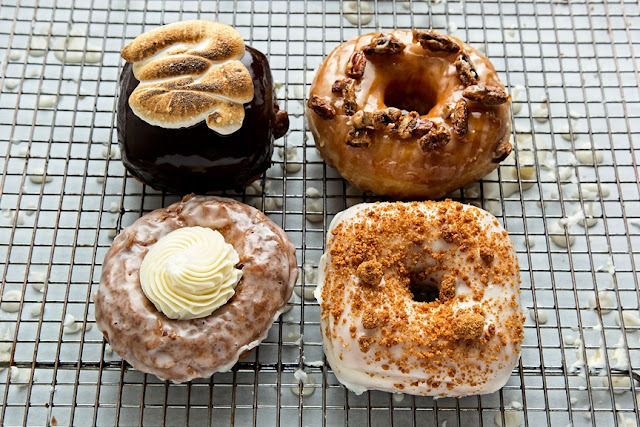 Co-founders Will Sullivan and Kyle Crosby plan to open their facility and tasting room in the Arboretum neighborhood later this fall, but for now, Micawber will be available at Glen’s Garden Market’s Dupont Circle and Shaw locations beginning September 10. Sullivan and Crosby are seeking to bolster the Mid-Atlantic region’s interest in America’s cider tradition, using approaches and practices pioneered on the US West Coast. As their Arboretum production facility and tap room remains under construction, the first run of Micawber was produced out of Charm City Meadworks in Baltimore. Sullivan and Crosby’s reigning philosophy is “quality in yields quality out,” as the duo carefully selects their apples from specific family-owned local farms for particular sugars, acids and other features. 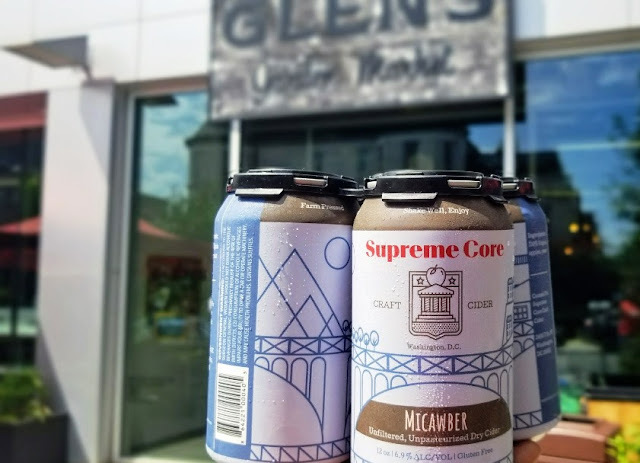 While Micawber was produced with an eye toward history and traditional methods, the duo is also working on collaborations with other local craft beverage producers to bring creative, limited edition runs of Supreme Core Craft Cider to the public in coming months. Micawber is lightly effervescent, providing a clean apple bouquet with light yeast character on the nose. Notes of tropical fruit and delicate sweetness complement the apple flavors, despite having near-zero residual sugar. Made specifically to be food-friendly, Micawber balances heavier dishes such as pork and fried chicken well with its dry freshness. The more fruit forward notes also complement tangy goat cheeses and charcuterie. Cider lovers will have the opportunity to taste Micawber at a release party at Glen’s Garden Market on Sunday, September 10. 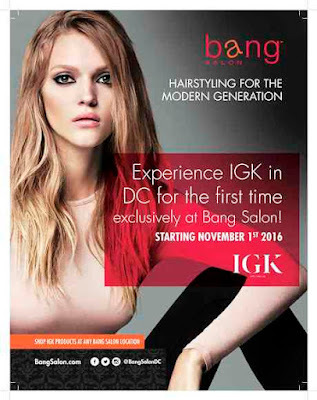 The tasting events will be held at both locations: from 11:00 a.m. to 2:00 p.m. at Glen’s Garden Market Dupont Circle (2001 S Street, NW) and from 2:30 to 5:30 p.m. at Glen’s Garden Market Shaw (1924 8th Street, NW). Sullivan and Crosby will be on hand to lead tastings with guests. Supreme Core Cider’s forthcoming production facility and taproom will join the growing Ivy City neighborhood adjacent to the National Arboretum at 2400 T Street, NE, Washington, DC. 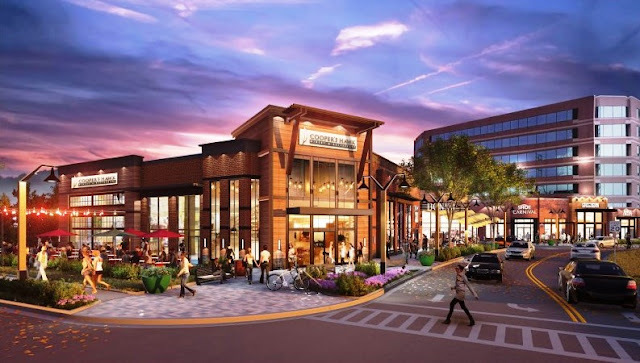 The facility was designed by Arium A|E of Columbia, MD and is being built by Tech-24 of Alexandria, VA. The Supreme Core team looks forward to welcoming cider enthusiasts and novices alike this fall. Sullivan, a DC native, and Crosby, an Ohio native by way of Colorado, bonded over their fondness for craft cider and a passion for US craft beverage culture. Both avid home brewers with careers in the consulting industry, they set to work on a business plan to address the void of West Coast style ciders they saw here in the Mid-Atlantic.